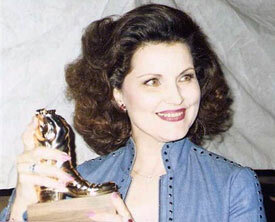 Debra Paget with her 1987 Golden Boot. 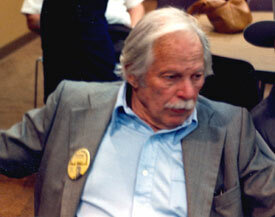 Ben Cooper at a Hollywood Collector’s Show in April 1993. 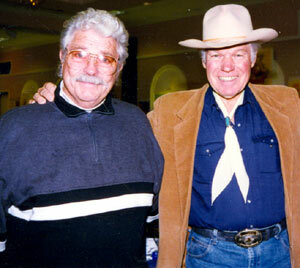 Dale Robertson and Kelo Henderson at a Hollywood Collector’s Show in January 1997. 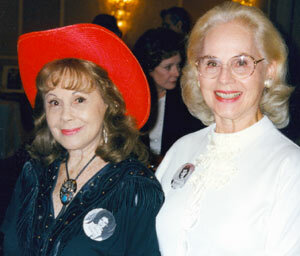 Sisters Caren Marsh and Dorothy Morris at a Jivin’ Jacks and Jills Hollywood luncheon reunion in October 1997. Note Polly Bergen in the background. 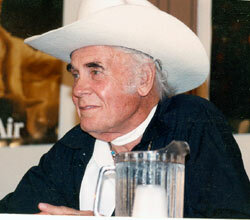 “The Pecos Kid”, Fred Kohler Jr., son of the famous badman, at the Knoxville Western Film Caravan in 1988. 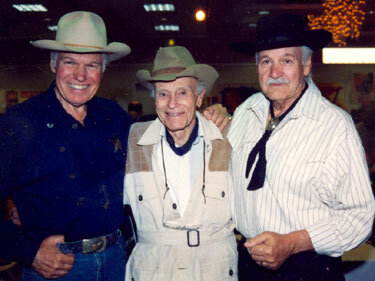 Henry Darrow (Manolito) and Ted Markland (Reno) from “The High Chaparral” at a Hollywood Collector’s Show. 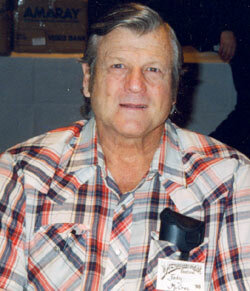 Jody McCrea, son of Joel, who starred with his father on “Wichita Town”, at the Memphis Film Festival in 1998. 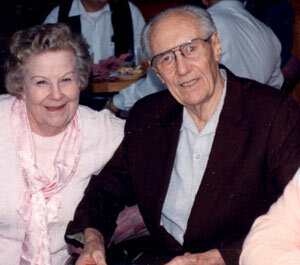 Jody accompanied his Mom, Frances Dee. 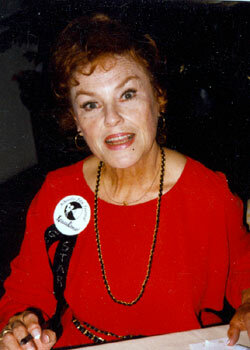 Kathleen Crowley at an Asheville Film Festival. 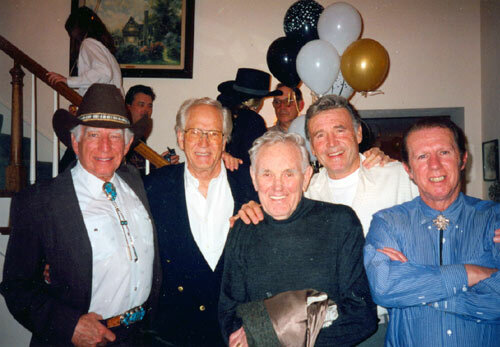 Morgan Woodward, Gregory Walcott, George Wallace, Rex Reason and Neil Summers at Walcott's 50th wedding anniversary party in 2004. 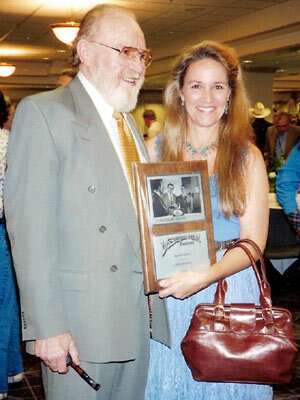 George O’Brien’s favorite leading lady Virginia Vale at the 1993 Knoxville Western Film Caravan. 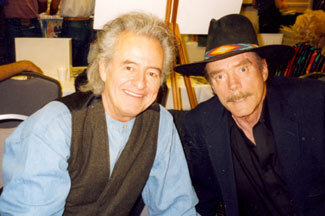 Davy from “Stagecoach West”, Richard Eyer at the Memphis Film Festival in 1998. 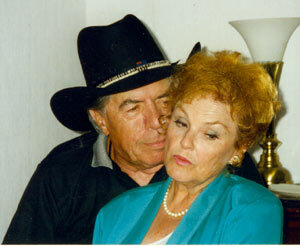 Prolific B-western director R. G. Springsteen and his wife, stuntlady Alice Van (Springsteen) at the Knoxville Western Film Caravan in March 1989. 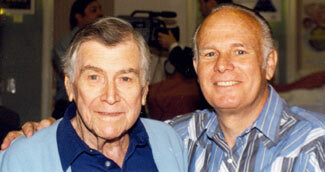 Actor turned screenwriter Warren Douglas and former child actor Gary Gray at a Hollywood Collector’s show. 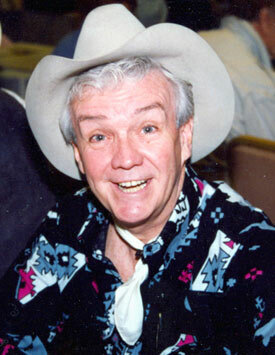 Douglas wrote many of the best Warner Bros. TV westerns. 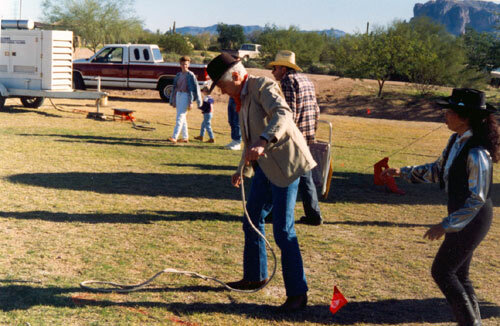 Actor Wright King (Jason on “Wanted Dead or Alive”) hones up on his rope work at the Legends of the Desert Film Fesitval in Apache Junction, Arizona in December, 1993. 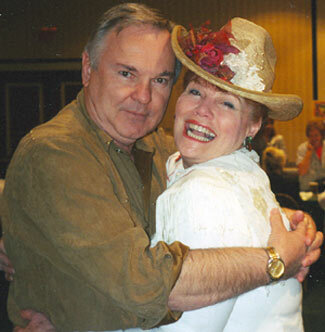 WC’s Boyd Magers and actress Jo Morrow had a bundle of fun at the Charlotte Western Film Fair in July, 2005. 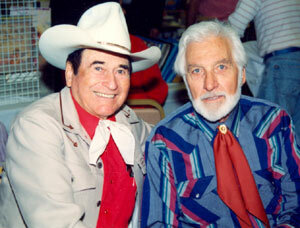 Kelo (“26 Men”) Henderson and screen badmen House Peters Jr. and Chris Alcaide at a Hollywood Collector’s Show in 1994. 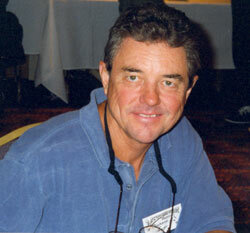 Tom Turnage, formerly of the Washington D.C. 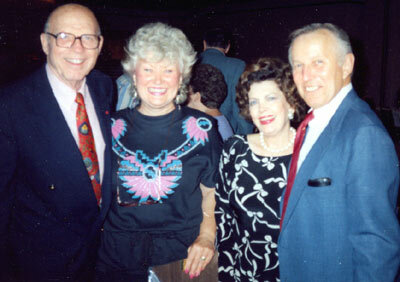 Veteran's Administration, Barbara Merlin, Jane Adams Turnage and Jan Merlin at the Memphis Film Festival in 1992. Michael Pate and Kathleen Crowley recreate a scene from “Curse of the Undead” (‘59) at the Memphis Film Festival in August, 1996. 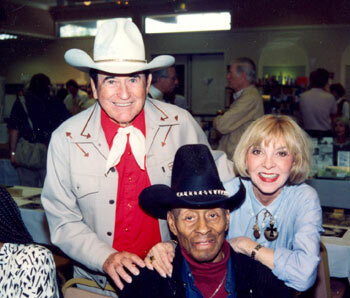 Montie Montana and John Hart (the other Lone Ranger) at a Hollywood Collector’s Show in April, 1994. 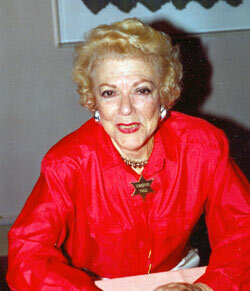 Sunset Carson at the Raleigh, NC, Western Film Fair in July, 1989.